GoDaddy is one of the most popular hosting providers for small businesses, but it appears the hosting service may also be making changes to sites on its platform which could significantly slow or break sites entirely. With this in mind, it is hard to see any benefit to continue allowing GoDaddy to install code for RUM on your site. Considering how important site speed is to both search engines and actual consumers, it is highly likely RUM could be costing you traffic AND conversions. Once this is done, the code will be immediately removed from your site. Days before Facebook CEO Mark Zuckerberg is set to testify to Congress about the social network’s role in allowing Cambridge Analytica to exploit user data, Facebook is working to make it easy to see if your information was shared with the scandal-plagued analytics firm. 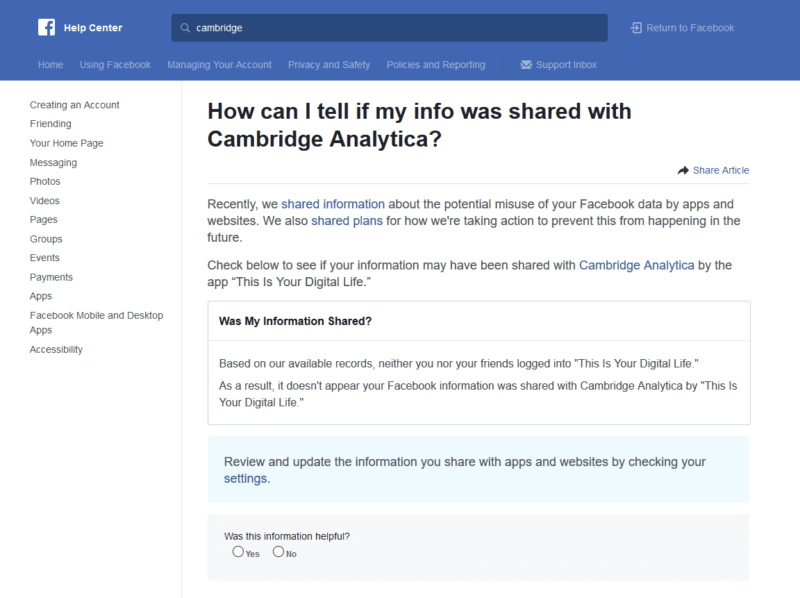 Facebook has published a new section within its help center called “How can I tell if my info was shared with Cambridge Analytica.” You can also quickly find the page by simply searching “Cambridge or Cambridge Analytica” in the Facebook search bar. If you’re logged into your Facebook account, this page will automatically inform you whether your data was potentially breached by the “This is your digital life” app. Since information has come to light about how Cambridge Analytica has been potentially misusing user data, the company’s relationship with Facebook has come under scrutiny. In response, the social network has taken several steps to attempt to re-win the public’s trust – such as launching this latest page. It has also introduced a data abuse bounty program that allows users to report app developers that may be misusing data. Questions will likely remain long after Mark Zuckerberg’s testimony tomorrow, but at least you can now personally check to see whether your personal account details are safe or have been exploited. Between the countless public hacks, identity thieves, and an increasing awareness of how vulnerable personal information is, protecting customer’s personal data has become a hot-button topic over the past year. Perhaps this may be why an increasing number of sites are switching to the more secure HTTPS web security protocol. In fact, a new report from Moz suggests the more than half of first page listings on Google are using HTTPS. While Google has suggested site security could potentially influence a website’s ranking, Moz says the steady growth of HTTPS suggests the rise is more likely attributed to sites making the switch – not an algorithm update. Google has also stated that it has no plans to increase the weight of HTTPS on rankings in the future. To verify the findings, Moz worked with Rank Ranger who produced almost the exact same results using its system. Dr. Pete Meyers, who reported the findings for Moz, believes up to 65% of front page results on Google could be using HTTPS by the end of the year. This is entirely possible, given that Chrome is set to begin marking non-HTTPS pages as non-secure if they ask for personal information such as a password or credit card information. Interestingly, the growth of HTTPS appears to be fairly equal across markets. The results suggest approximately half of the biggest names in Google search results have adopted the security protocol, while newer pages are using HTTPS because it is inexpensive and easy to use. Giving your visitors a place to comment on content or in a forum on your site is a great way to encourage interaction and build a bond with potential customers. But, it can be a headache trying to keep any sort of open comment area clean from spammers, trolls, and other sorts of nogoodniks. This creates two different problems. If visitors see your pages and blog posts are followed by nothing but spam and other types of website vandalism, they’re likely to think less of your brand and potentially move on to someone else. Additionally, you can even get penalized by search engines like Google if it detects an abundance of spam or malicious links or code on your site. Add a CAPTCHA. CAPTCHAs require users to confirm that they are not robots in order to prove they’re a human being and not an automated script. One way to do this is to use a service like reCAPTCHA, Securimage and Jcaptcha . 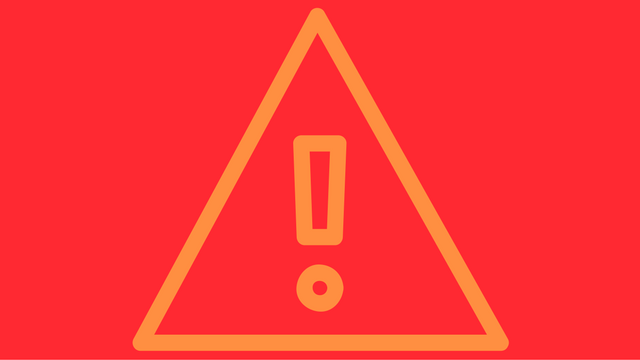 If possible, change your settings so that you disallow anonymous posting and make posts from new users require approval before they’re publicly visible. Moderators, together with your friends/colleagues and some other trusted users can help you review and approve posts while spreading the workload. Keep an eye on your forum’s new users by looking on their posts and activities on your forum. Use the “nofollow” attribute for links in the comment field. 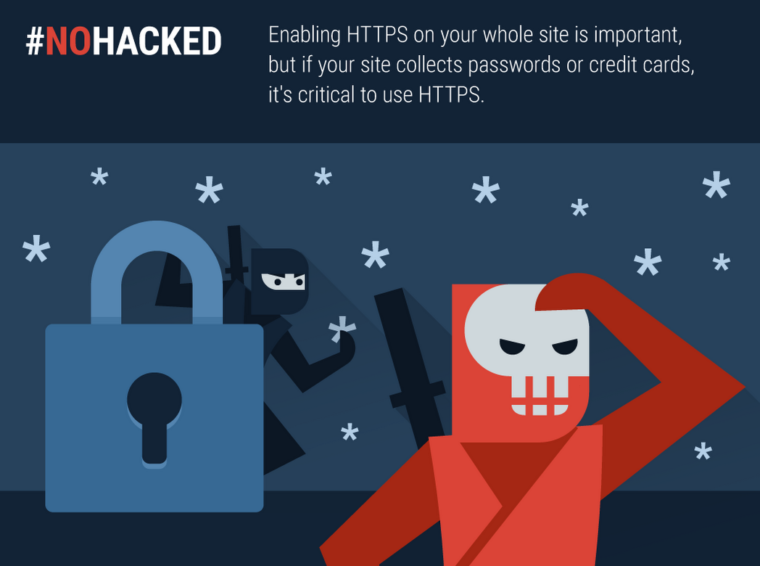 This will deter spammers from targeting your site. By default, many blogging sites (such as Blogger) automatically add this attribute to any posted comments. Google is making some changes to protect users’ sensitive information online, and it could lead to your site being marked as non-secure by Google’s web browser at the end of this month. Google released a warning that as of the end of January 2017, Chrome will mark sites without HTTPS as non-secure if they collect private information like passwords or credit cards. 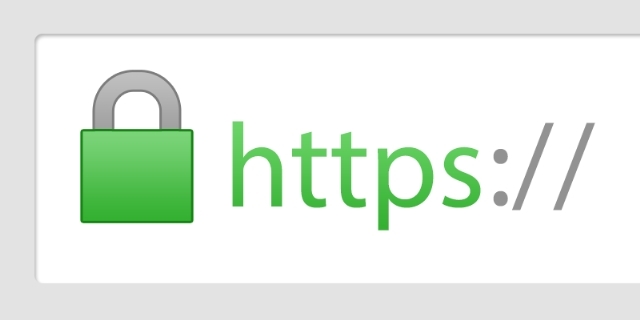 The company has encouraged implementing HTTPS in the past by making it a (very minor) search ranking signal. Now, from the sound of the alert, the company says an entire site will need to be HTTPS if any pages collect payment or sensitive information. Switching over to HTTPS is an easy process, but you should begin preparing to make the switch now if your site fits the criteria. Otherwise, you are likely to be flagged as non-secure in February and lose a large amount of your web traffic. There’s a new malicious SEO tactic making the rounds and your Google My Business listings could easily be the victim, according to web security company Sucuri. The company says individuals are sneaking inappropriate or damaging photos into GMB listings with the intent of damaging a business’s reputation and image. What makes this type of exploit unique, however, is that it doesn’t take any hacking skills to do. Unlike other negative SEO tactics, this specific technique does not include hosting images on a client server, malicious code, or even breaking into an account. Ultimately, the attack is taking advantage of Google’s lax rules for uploading photos to a business’s location in Google Maps. Anyone can upload images to a business’s listing, and any of these images can be used for Knowledge Graph data about the business. While Sucuri doesn’t have evidence of this, it is possible for a person to spam a business’s listing with lewd images and then send fake hits to them to increase their perceived popularity – all with the end goal of making sure they come up when people see your business online. Unfortunately, the nature of this type of attack makes it difficult to guard against. There is no way to limit who can upload photos to your listings or determine which image gets used in Knowledge Graphs. The best you can really do is to actively keep an eye on your listings and which photos are appearing next to your listings. You can also watch to make sure no one is uploading inappropriate pictures to your Google My Business photos. While you can’t stop people from uploading lewd images, you can easily remove any associated with your location. 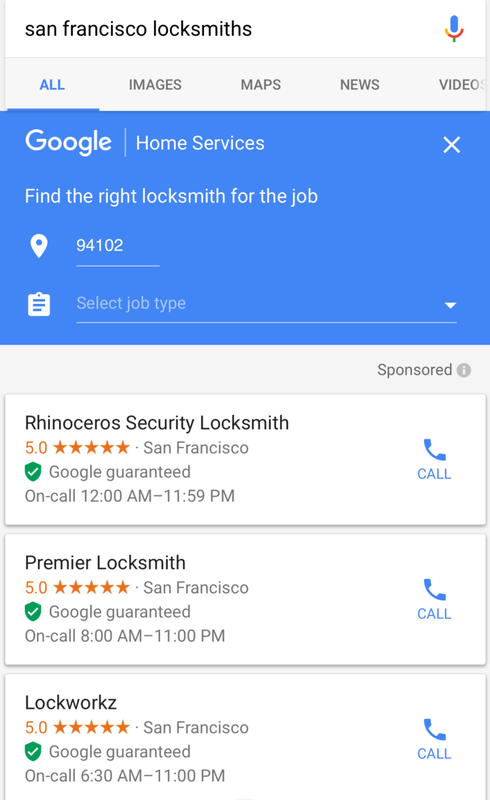 After months of testing a new verification in the San Francisco area exclusively for locksmiths and plumbers, the search engine has officially launched the “Google guaranteed” verification process. If your business gets “Google guaranteed”, you get a special green badge next to your business in the search results – and customers get a few perks and protections through Google. Currently, the Google guarantee is limited to just locksmiths and plumbers. This is because both industries have had recent issues with ad fraud and abusive advertising practices which Google is attempting to clean up. There does not appear to be a public sign-up process for businesses hoping to be verified, and it is unclear what the verification process includes. However, this is likely to become more transparent as the verification process is extended nationwide. To activate the Google guarantee, fill out this form before your first appointment. You can also call customer support at (844) 885-0761 to submit a claim or ask questions about your coverage. If you’re unhappy with the work performed, you can submit a claim and Google will cover the invoice amount up to a lifetime cap of $2,000. The job must be booked through Google Home Services. Any future work completed by the same provider, unless booked through Home Services, is not covered. Jobs completed before September 14, 2016, are not covered. Currently only locksmith and plumbing jobs are covered.